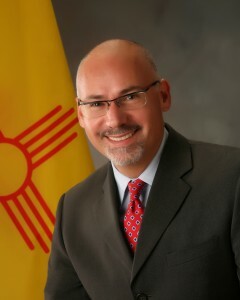 NASDCTEc is pleased to welcome Mr. Eric Spencer, new State Director of New Mexico. Mr. Spencer was named director of the New Mexico Public Education Departmentâ€™s (PED) College and Career Readiness Bureau in October 2012. Prior to assuming his new role, he served the PED for 12 Â½ years in multiple roles to include Staff Manger for Career-Technical and Workforce Education, and most recently as the Budget Director for the Administrative Services Division. Mr. Spencer began his career in education as a business teacher where he worked in one of New Mexicoâ€™s smaller high schools and in one of the largest high schools. His district level experience includes teaching at the elementary, middle and high school levels, working as an assistant to a principal at an elementary school, and as an assistant to a district superintendent. For the last 6 years, he has served as adjunct faculty member in the School of Business and Professional Studies at Luna Community College where he teaches accounting, finance and economics. His bachelorâ€™s and masterâ€™s degrees in Business Administration, and all the coursework required for his teaching and administrative licenses, were earned at New Mexico Highlands University. After completing these credentials he studied insurance and risk management at California State University â€“ San Francisco. He continues to be a lifelong learner as he is currently studying architectural design and art at the Santa Fe Community College. Please extend a warm welcome to Eric Spencer, who can be reached at eric.spencer@state.nm.us. This entry was posted on Friday, December 7th, 2012 at 7:24 am	and is filed under Advance CTE State Director. You can follow any responses to this entry through the RSS 2.0 feed. Both comments and pings are currently closed.